I enjoy lots of paper crafts but one theme that I always enjoy is that of flowers because you can use these for so many occasions which require a handmade card and gift. However, making realistic looking flowers out of paper is not easy. So I've found lots of great tutorials to share. Discover both origami rose flower crafts and paper folding diagrams for newbies (including kids) which require very few instructions. Also linked to are more advanced rose flower paper folding projects which may need some previous knowledge of this paper craft. Origami roses are especially hard to create with paper. That's not really that surprising because this particular flower variety is so amazingly unique. Just consider all the intricate layers of soft petals that curl and gently fold around each other. Just scroll down to either the Easy, Intermediate or Hard sections. Unless you have extensive knowledge of origami paper folding, choose from intermediate or easy. Now start making this favorite garden flower. 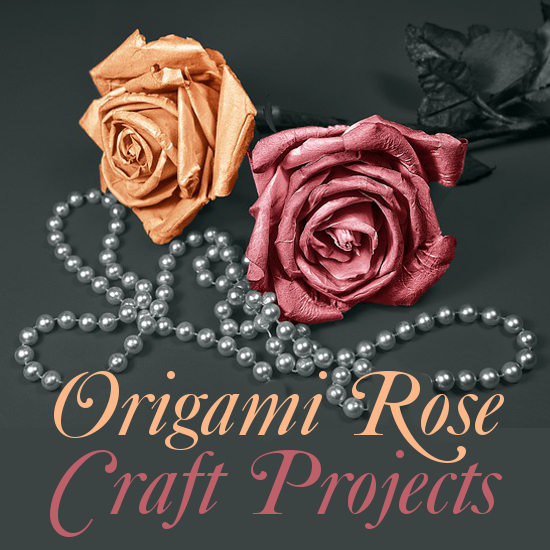 This section contains some of the easiest origami rose flower instructions and projects. It is most suitable for kids and newbies. I just love paper crafting using this elegant flower as the theme. As you can probably imagine, realistic looking rose flower designs made from paper need a much a higher difficulty level to make. Listed here in this easy section are origami and paper folding projects suitable for children (most likely with supervision) and also adults who are new to this craft. Some of the instructions and diagrams in this easy level are not really origami but clever ways of shaping paper to make some blooming beautiful rose flower designs. I've hand-picked the best selection for you to enjoy. Choose some colorful square paper sheets to make these flowers. 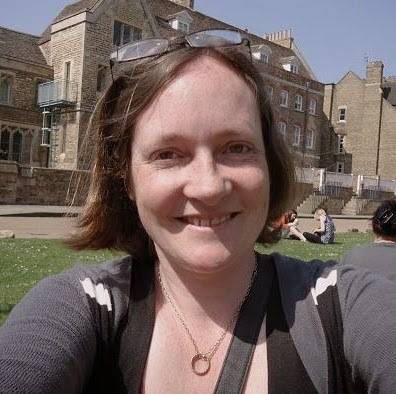 This is a project that is suitable for older children and adults. There are quite a lot of steps but the end result is a very basic looking flat folded rose design with some leaves. This could be stuck onto the front of a handmade card or in a scrapbook. This is one of the easier origami modular 3D roses that older children and adults can make. This one isn't designed to be folded flat. Instead it would look good for kids to present in a jar or flower pot. These are really easy 3D crepe paper roses that kids can make. These are not origami flowers but they are much easier to make and would be suitable for younger kids to have a go at. This tutorial is a more advanced version of the one above. Make some realistic looking three-dimensional mini crepe paper roses with a video to follow. Stunning rose balls all made out of crepe paper. These make some simply gorgeous decorations. There is a video tutorial to follow. A rose design with stem and leaf folded from a napkin in 8 easy steps. You can pop this into a bouquet or in a jar. Good for card-makers, this is a unique looking flat, folded rose which makes a pretty card centerpiece. Great embellishment for scrapbook pages too. Make an easy but time-consuming rose wreath made from cutting paper spirals. Not origami but a good project for older children to complete. 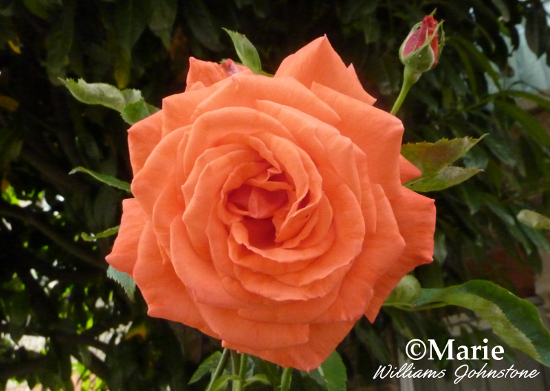 An easy-intermediate rosebud created in 23 steps. Easy-intermediate half-bloom 3D rose made in 21 steps. Easy-intermediate spinning top rose folded from an origami bird base in 25 steps. I enjoy getting these origami kits because they come with plenty of instructions plus really nice papers for the folding too. I think they're good value for money. Another great kit is the daily origami calendar box sets that you can buy. Tons of small and easy projects and paper all in one little box. How to Make an Easy Rose With Crepe Paper. Not actually origami but these are beautiful and easy to make. This is a beautiful looking rosebud made in 41 steps. Twisted origami 3D rose basic instructions and a video. A beautiful looking 3D budding rose folded in 32 origami steps. 38 steps to make a beautiful swirl origami rose. There are very few advanced projects with instructions available freely online. Perhaps because these more advanced flowers take up such a lot of folding steps. Here's a few that I found and enjoyed. Fullest bloom paper flower 3D rose with 48 folding instructions to follow. Once you've mastered the basics and you've folded a particular project to perfection, try some of these amazing oriental style papers with small patterns on. They really add a totally different dimension to your finished piece and look so much more professional than a blank one shade paper. I never tire of craft projects that are based on this beautiful and enchanting rose flower whether it is origami, paper layering, card-making, drawing, painting, fabric arts or something else. No wonder blooms, like this sunset orange color one one I photographed here, capture the imaginations of so many artists and crafters throughout history. There really is something magical about the complex manner in which the petals fold and curl around each other. When they open up from a bud, the petals are all completely unique. How could you not be touched by that in some way. Don't forget to check eBay for all your origami paper, books and kits. Not only are you sure to find better deals but it's great for finding unusual and rare items too. Discover a great selection of origami paper including plain, patterned, two-color, glow-in-the-dark and metallic foils.